A steady stream of energy , available when you need it . Running out of battery should never hamper your mobility nor dampen your spirits especially on a leisure trip . The needs of your digital devices will be taken care by Xtus P10 . The brand Oaxis is derived from the word oasis. Like an oasis in the middle of the desert, the Oaxis Xtus P10 Portable Powerbank provides your electronic devices that additional power to keep it going for longer periods of usage. 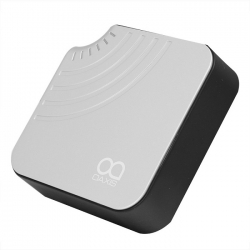 This Oaxis Xtus P10 Portable Powerbank supports a 10400mAh power capacity which is a significant amount of power to keep your portable devices up and running. It also cuts charging downtime with its high charging output of 2000mA. Another time saving feature is the availability of 2 USB ports. This allows up to 2 different devices to be charged at the same time. Just like the desert the electronic world is vast and unpredictable; therefore Oaxis Xtus is engineered to support the various electronic devices in the market. Like an oasis providing water to all life, the Oaxis Xtus comes with its very own charging cables which enables it to charge devices without the inconvenience of lugging your own cables around. Designed to be as compact as possible, the Oaxis Xtus P10 Portable Powerbank is compact in shape. It boats a built-in tray system that serves as a tablet or smartphone stand; yes, you can charge your device while streaming a video at the same time. Just slip it in your handbag or backpack and you’re good to go!